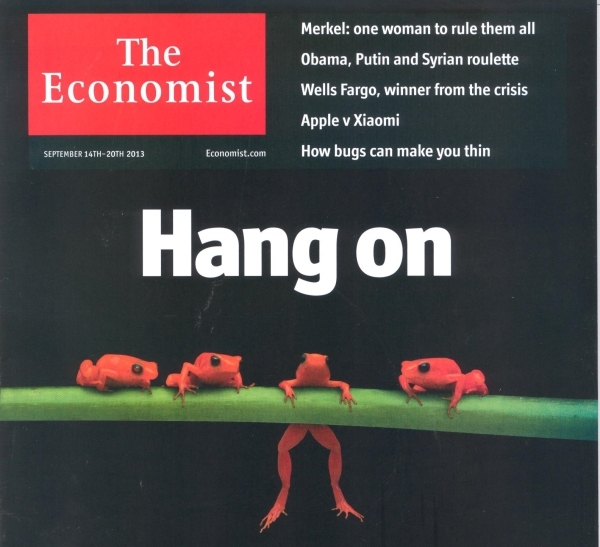 September 14, 2013 — In a 16-page special report, The Economist sees an improving outlook for biodiversity in the developed world, and argues the same can be expected from the developing world as continued economic growth reduces poverty and halts population growth. It warns, however, that conditions are still deteriorating in most of the emerging world, where most species live, and that "mass extinction remains a real danger". Sir — As a long-time subscriber (one of us) and as conservationists, we eagerly awaited your special report on biodiversity. While the article includes some good information and analysis, it has striking errors and omissions. The result is a sunnier picture than the evidence warrants. There is no mention of "paper parks" and the huge problem of under-financing of protected areas in developing countries. No mention of palm oil plantations as a driver of deforestation in Indonesia, nor of illegal logging and gold mining spearheading destruction of Amazonian forests. No information on the observed impacts of climate change on nature — though you acknowledge they are potentially "calamitous" — because you have written before about climate change. No mention of the severe degradation of marine ecosystems, of coral bleaching or ocean acidification. And no mention of the key role for indigenous people in conservation (described by the World Bank as a "win-win"), despite the fact that traditional indigenous territories may hold 80 percent of the world's biodiversity. Your article on Brazil — which you call the most important country for biodiversity — needs correction. Deforestation did indeed slow under President Lula da Silva, but under President Dilma Rousseff the trend has reversed. You say deforestation "may rebound". It already has, thanks to weakening of laws protecting forests on private lands along with weak governance and corruption throughout the Amazon frontier zone. Working at the front lines, we see that illegal logging and lack of enforcement is still a very big problem. Large infrastructure projects such as Belo Monte dam are drawing more people to the Amazon. Proposed changes to Brazil's constitution that would allow resource development on indigenous lands is a huge concern as a threat to natural ecosystems and indigenous cultures. Finally, we are surprised that The Economist did not point out the low price tag for conservation. Almost absurdly low in relation to the economic and other benefits provided by natural ecosystems and compared with spending on other things (the amount governments spend on environmentally harmful subsidies is three times what is needed for comprehensive global conservation and many more times what we are actually spending).